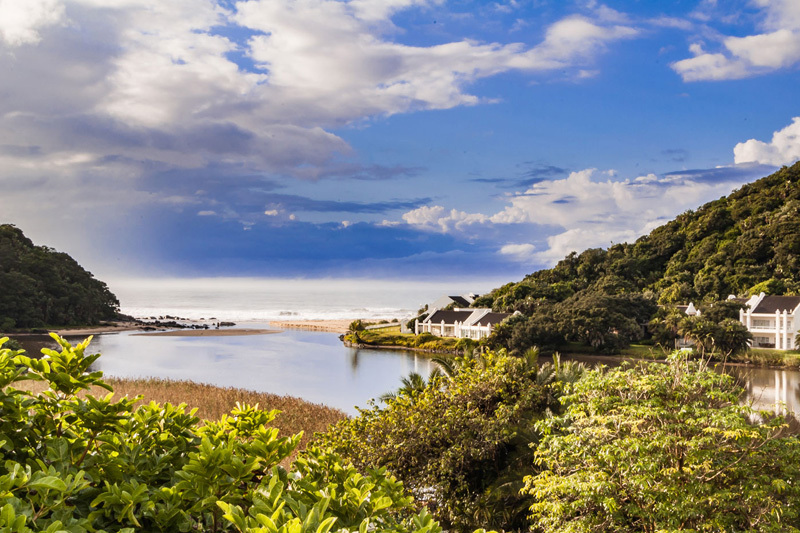 The Wild Coast, South Africa, stretches from East London to Port Edward on the country’s east coast – a distance of shoreline that is an ode to the country’s least spoilt beaches. A visit to the Wild Coast, South Africa, is to submerge yourself in cliffside vistas & long stretches of gently grassed slopes that decalcify eyes used to vastly narrowed visual fields from peering at screens. 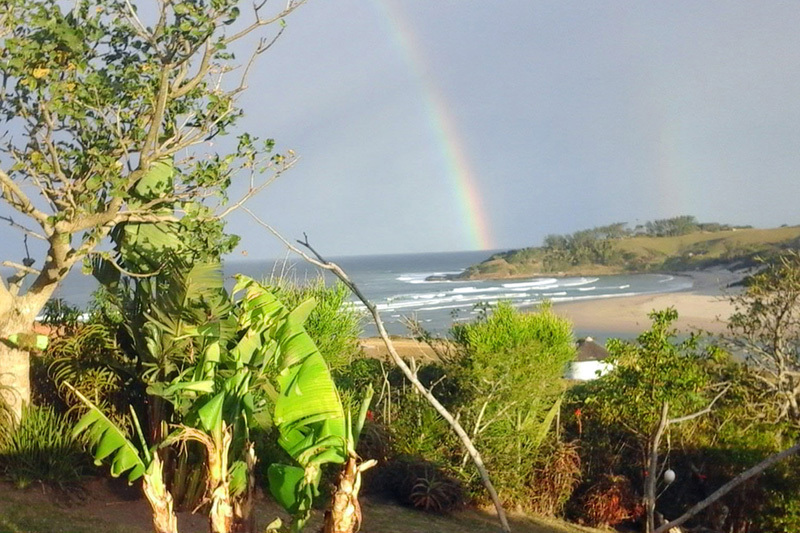 The Wild Coast is an aspect of Africa you dream of, the part that’s missing from its more commercial centres. Coffee is drunk from tin mugs, pot-holed roads impinge your speed, and sunrises are of a new dimension. 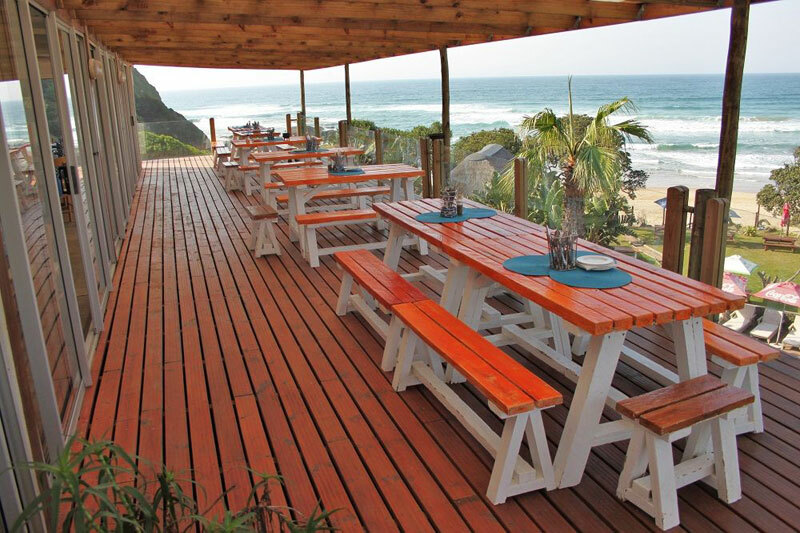 In short: South Africa’s Wild Coast is where you want to be. 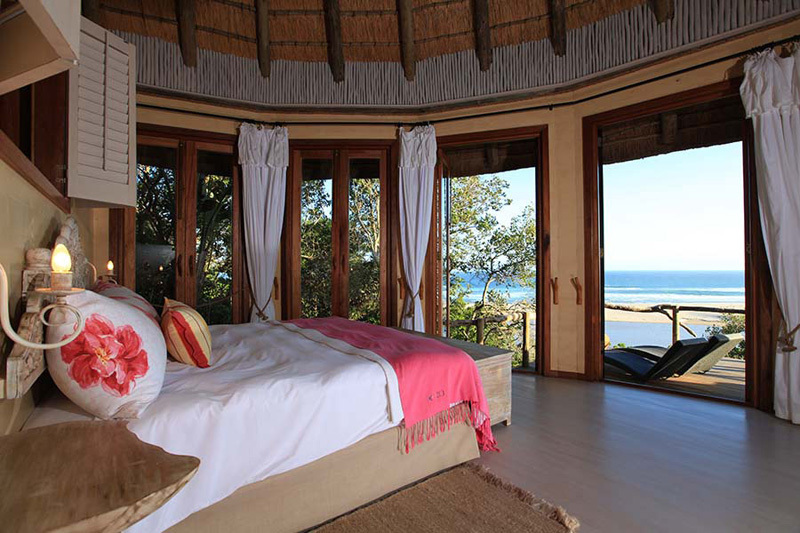 We host some of the Best Wild Coast accommodation in the business (SA-Venues.com specialises in South Africa. We know our venues!). You’re only a few sandy steps from Silver beach on the edge of a river estuary with your own balcony and the option of spa treatments. Why wouldn’t you? 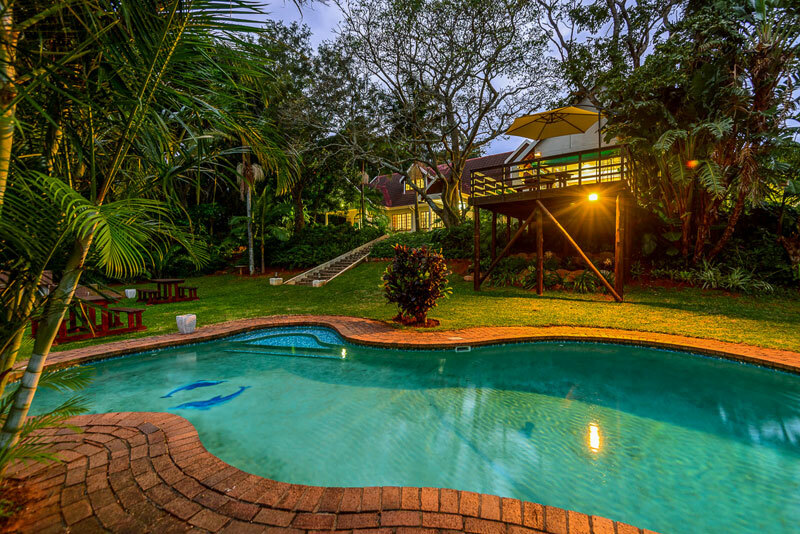 Thatched roof bungalows set in amongst indigenous gardens on the edge of a river with access to beaches, walks, mangrove swamps, upriver canoe trips, birds and spa treatments in the Umngazi hillside, with plenty to occupy children. 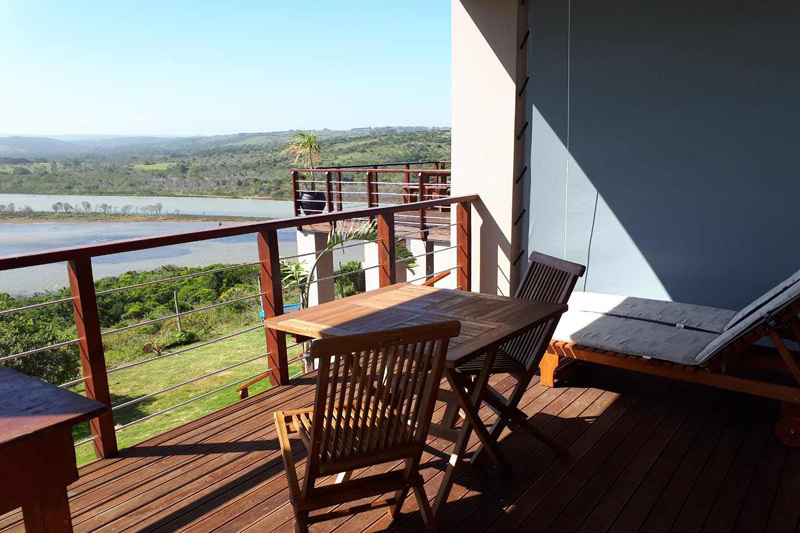 Set on an incline overlooking the lagoon at Cintsa West, this little backpacker village gives you wonderful views of Cintsa beach and a series of simply furnished, yet bright and delightful rooms that range from luxury suites to safari tents. Bright, sunny, simply and elegantly decorated rooms that include inter-leading family rooms make Morgan Bay Hotel a perfect family option. Set in between dramatic cliffs and miles of unspoilt beach the hotel is affectionately known as ‘Morgs’. Want to escape hotels and resorts, then choose this self-catering double storey holiday home just 500 metres from the beach. It’s elegant, simple and sleeps up to 10 people in its five bedrooms (three bathrooms). This low-key, reasonably-priced, one-bedroom holiday apartment gives you privacy and views out over the river and wildlife. 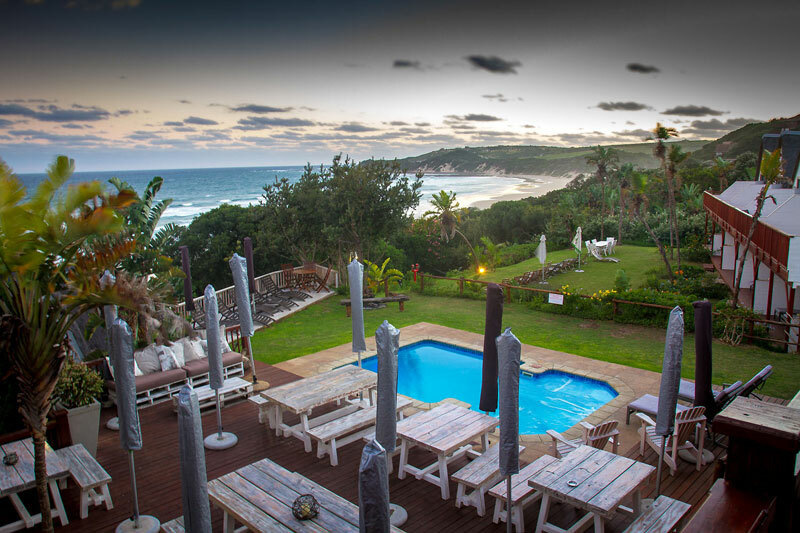 You’re only a short walk away from the local beach, earning The Aloe House a spot on our list of Best Places to Stay on The Wild Coast. 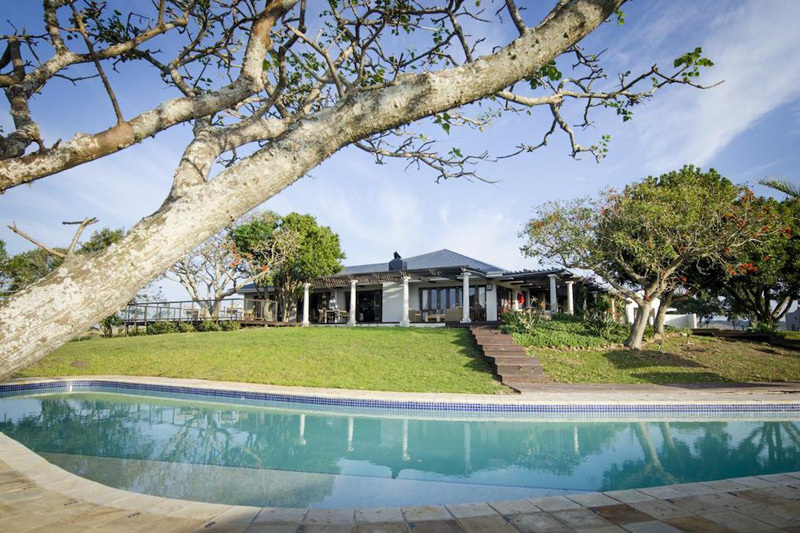 This boutique hotel lies on a 740 hectare wildlife estate with views out over the bush and sea, and private access to a beach. We particularly like their rustic two-bedroom log cabins that share a kitchen – perfect for a family or group of friends. 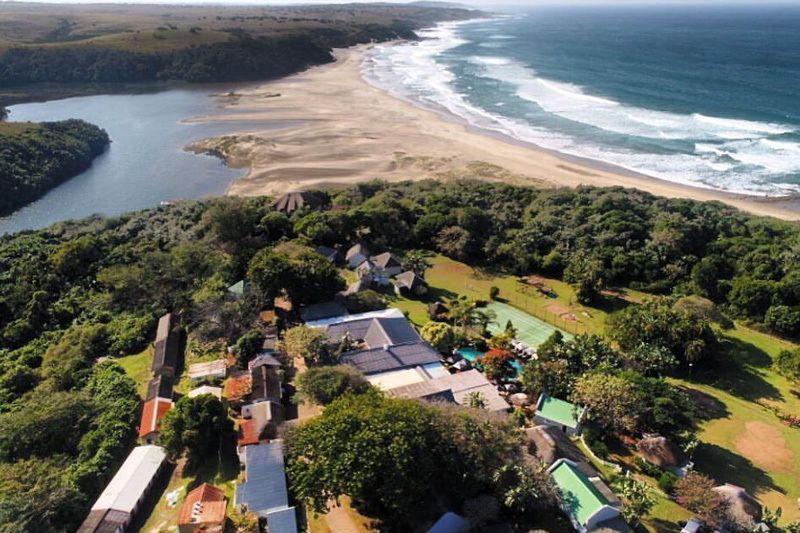 On the north side of the Mdumbi River with incredible views over the sea and a glimpse of rural life, you’re going to love the opportunity to stay in newly renovated Xhosa rondavels, sea view duplexes or a luxury honeymoon rondavel that doubles for use by families (there’s a loft bedroom). 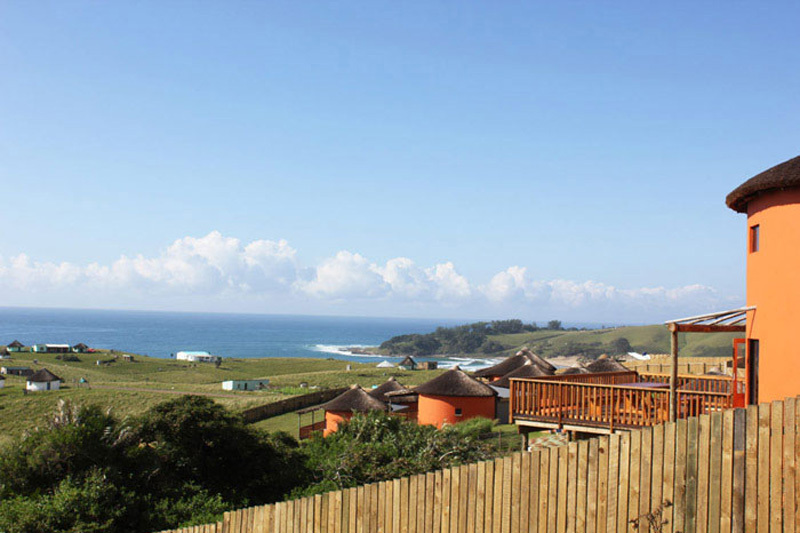 This guesthouse is perfect for those at the end of their Wild Coast stay, or on business (it’s conveniently close to Bizana) as you can hop on the N2 from here without any problem. There are also family units that sleep up to five, which is rather useful. 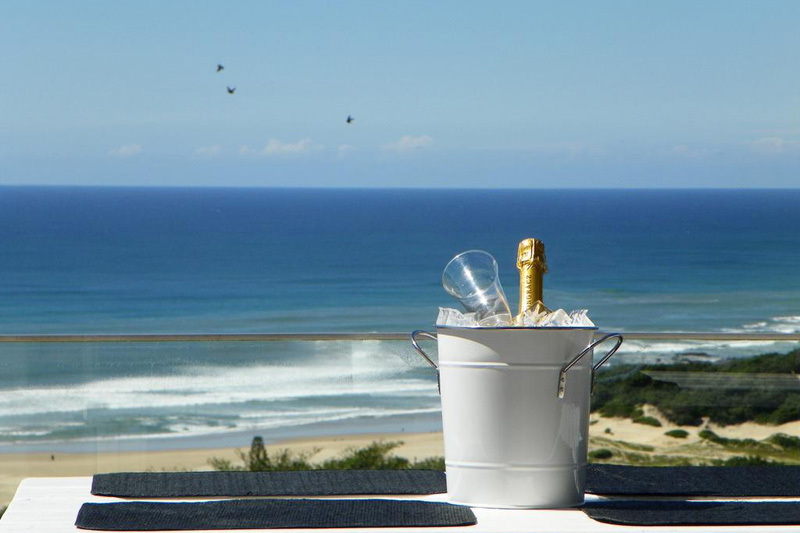 At Crawfords you’re surrounded by tropical beach forest and rolling hills with views over the Indian Ocean and access to 35 km of unspoilt beach. Accommodation is in 20 suites each with its own balcony overlooking the sea. 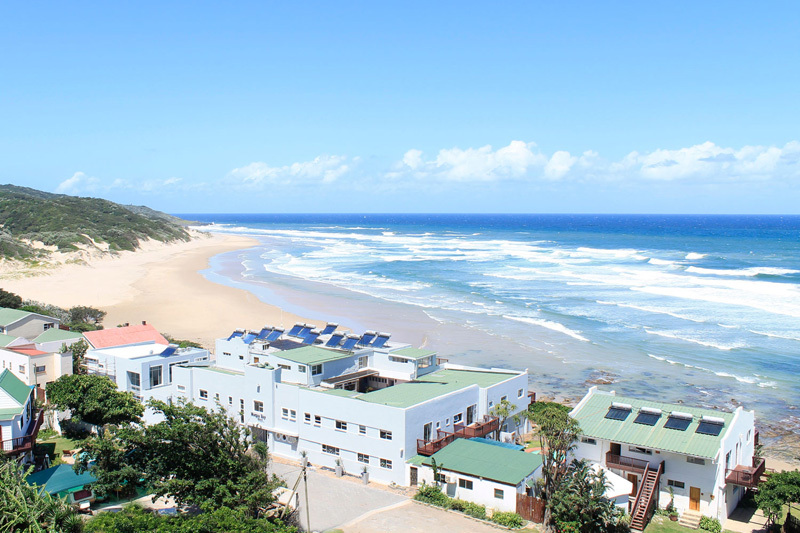 Right at the start of the Wild Coast, this quiet little beach resort is a good place to get used to long beach walks, and incredible scenery. 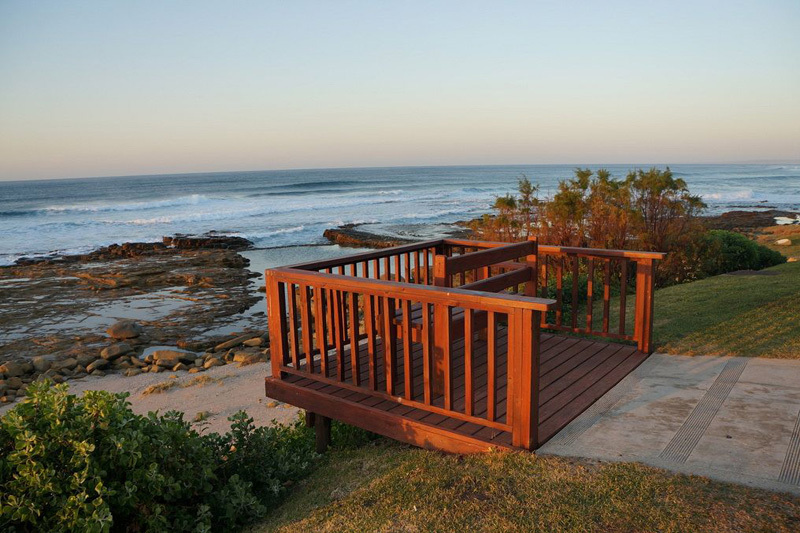 The hotel offers en suite rooms, whilst there are a further 15 self-catering chalets with their own decks and sea views. 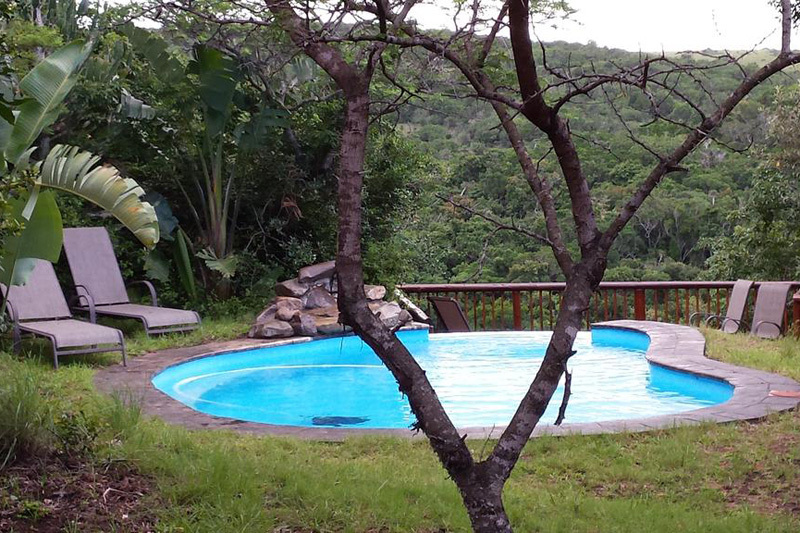 This rustic, eco-minded and family-run backpackers is everything you imagine a backpackers to be with rondavels, camping space, family and double rooms as well as gorgeous views over the river, beach and sea. Where you’d least expect it is a game reserve that boasts not only the big five, zebra, giraffe and other animals, but five different biomes and a tidal estuary. Extra bonus is that you’re only 40 minutes from a national airport and the roads are tarred right to the reserve’s entrance. The towering cliffs and crashing waves of Coffee Bay hint at its beauty, but nothing prepares you for this part of the coast. And the hotel offers sea view rooms or family garden units that are comfortable and effortless so that your days are filled with beach combing, surfing or lazing around the pool. 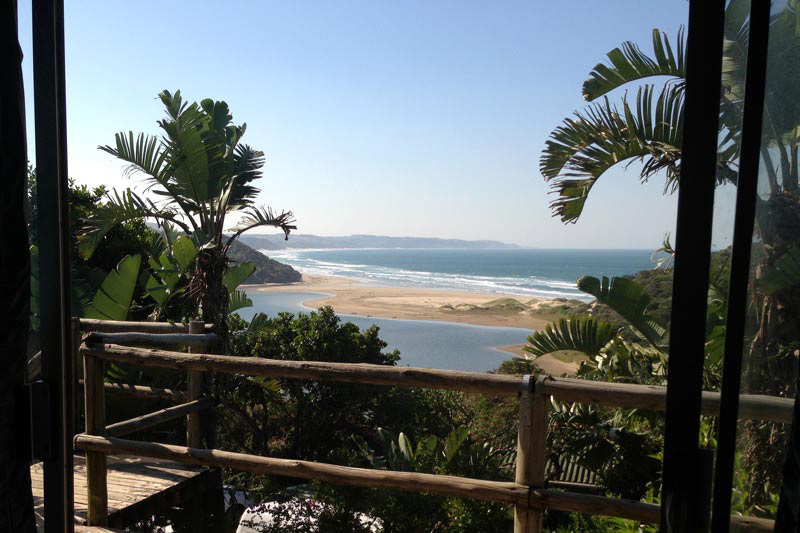 This is a rugged and particularly unspoilt part of the Wild Coast with sweeping bays and wonderful hiking trails. Trennery’s offers a series of spacious chalets perfect for families or romantic holidays, all fully-catered. 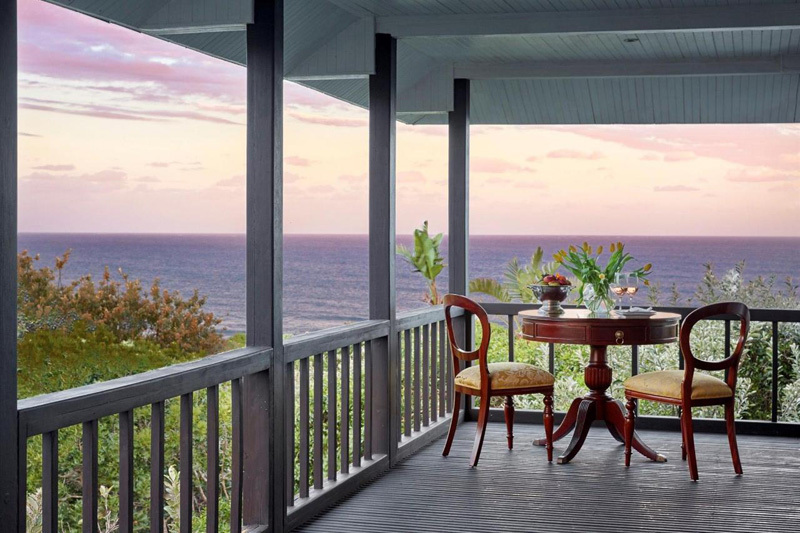 We think you’ll love this elegant, private beach estate and spa with direct beach access. It limits its offering to only eight individually designed suites with select pieces from famous South African artists, Persian carpets and views to match. Wow.